Not all fan theories are created equal. Some are brilliant breakthroughs that unlock a whole new understanding of a popular show or movie. Others are ... totally off-the-mark. That’s okay, because part of being a fan is interacting with what you love! There are bad fan theories, but no bad fan theorists, in other words. 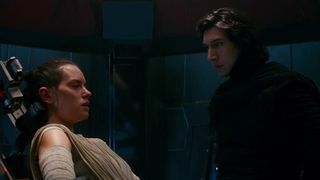 This week didn’t see any majorly misguided fan theories go super-viral (although last week’s theory that Kylo Ren subconsciously created Snoke using the Force got aggregated by a few more unscrupulous outlets). Instead, the penultimate week of January was filled with yet another overly complicated theory about Thanos and Avengers: Endgame and a theory about Red Skull, the devil, and chess. Finally, we'll wrap up with a truly meaningless and irresponsible bit of theory-spreading relating to Frozen 2. This theory isn't exactly new, but we're in a bit of a holding pattern when it comes to Avengers: Endgame theories at this point, which means that websites that are part of the fan theory industrial complex are going to replay the hits. 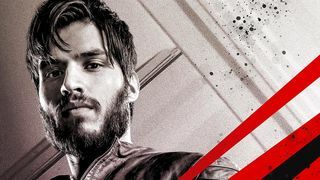 The theory posits that a new villain, one we've never heard of, will swoop in at the eleventh hour and surmount Thanos as the ultimate big bad in Endgame. The idea of "an even bigger threat" comes from a leaked line of copy on a Rocket Raccoon toy, and while toy leaks tend to be a pretty good source of advance information about a movie’s plot, this one seems a little doubtful. It's pretty vague, and a vague bit of marketing to sell toys is hardly proof that Marvel will undermine the big villain they've been hyping up for almost a decade. Rather than be a satisfying twist, such a move would weaken all the movies that came before it. This specific spin on the "bigger threat" theory guesses that Ultron or Dormammu could come back as the big bad, but that would come across as an underwhelming step back for the MCU. The theorist also guesses that there must be something else going on in Endgame because it's three hours long, and that's too much time to have more than half of it be about undoing the Snap. To which I say, bruh, have you seen a movie lately? Hollywood hasn't found a blockbuster it can't make three hours long, it's really not that. Perhaps one of the most surprising parts of Infinity War (aside from everybody dying) was when Red Skull unexpectedly showed up for the first time since 2011's Captain America. What this theory posits, though, is that this isn't the last we'll be seeing of Red Skull. Instead, as this aggregation lays out, he'll become the MCU's version of the comics villain Mephisto, a character who was inspired by a demon from German literature who collected souls. This seems pretty unlikely, given that Red Skull is already an iconic and distinct villain, but it's admittedly a neat idea. Red Skull was the keeper of the Soul Stone in Infinity War, after all. Where things go off the rails, though, is the second part of the theory, which suggests that Red Skull was the true mastermind behind Infinity War because of, uh, chess. See, Mephisto is also a German brand of chess computer trainers, which prompted the theorist to go down some wild rabbit holes giving every member of Thanos' team a chess piece equivalent, suggesting that Captain Marvel is the "white queen" and coming to the conclusion that Red Skull/Mephisto is the player controlling all the black chess pieces. The theory is buck-wild, and it's utterly ridiculous to assume that Disney-owned Marvel hinged their flagship franchise on an allusion to a small German company's chess computers. And yet, here's this aggregation, leading you to believe that there's enough to this theory to call "checkmate." Oftentimes, websites will do a round-up of "crazy theories" as a bit of evergreen content. To be honest, that's kind of what this SYFY WIRE series is, though I like to think that it's a lot more critical than most other round-ups. Even so, there's a theory in this "Frozen 2: 7 Crazy Theories About the Disney Sequel" list that's especially galling. "There's [sic] have been serious rumors that Jack Frost might make an appearance and melt the ice queen's heart," the sixth entry on the list reads. "Yup, that's Jack Frost from Rise of the Guardians... which, although a sweet theory, is highly unlikely. Rise of the Guardians is a Dreamworks film, and Frozen is Disney, so crossovers aren't exactly on the table." The post doesn't link a source, but a quick Google search reveals that there's been fan-art involving Elsa and the Dreamworks version of Jack Frost for years now. But, to say that this theory is only "highly unlikely" is borderline malpractice. There is no way in this or any other universe that Disney will crossover one of its most successful franchises with a rival studio so that they can include one character from a movie that lost Dreamworks $83 million when it came out in 2012. The caveat that such a crossover isn't "exactly on the table" is still giving this theory too much credit, and spreading the idea that there's even a miniscule possibility it could happen is lying to readers.